While it's trendy to top everything from Buddha bowls to avocado toast with fried eggs, the healthier option is to replace the fried egg with a poached one. With only 77 calories, 6 grams of protein, and 5 grams of healthy fats, eggs pack a nutritional punch to start, but poached eggs go a step further: since they're cooked in water, they have no added fat. Still, cooking the little marvels can intimidate even the most experienced chefs. Achieving a perfectly round shape, ensuring that the yolk is runny and the white is opaque (but not hard) seems like a job only a short order cook could master. But it's simpler than that. 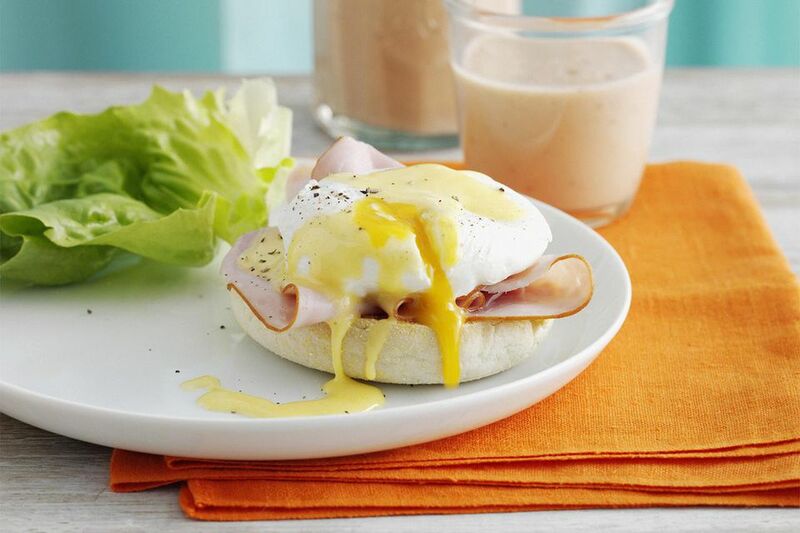 The trick to making perfect poached eggs is keeping the egg compact and making sure it holds its shape. This is best accomplished by using the freshest eggs possible. The older an egg gets, the more it tends to flatten or spread out. If your eggs are not farm-fresh, you can add a few drops of vinegar or lemon juice to the water. The acid in the water will help the egg hold its shape. You also can crack the egg in a measuring cup then pour it into the water; this will help prevent any eggshells from dropping into the water. While cooking the egg, the water should be simmering, not boiling. Too vigorous a boil will break up the eggs. But if the water's not hot enough, the egg might fall apart before it cooks. The ideal water temperature for poaching eggs is around 180° to 190°F. Fill a large pot with water and add a teaspoon of vinegar or lemon juice and a handful of Kosher salt. Bring the water to a simmer. Crack a fresh egg into a small bowl or ramekin. When the water is simmering (not boiling), gently tip the egg out of the dish and let it slide down the side of the pot and into the water. Cook for 4-5 minutes or until the white is firm but still tender and the yolks are still semi-liquid. Carefully lift the egg from the water using a slotted spoon or ravioli skimmer. Shake off excess water and serve right away.